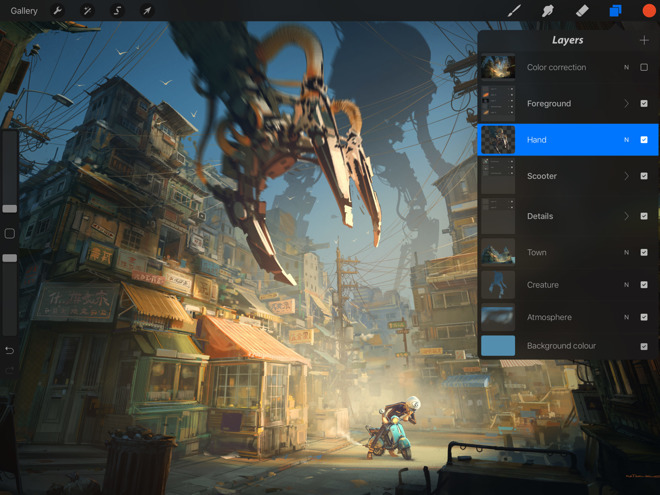 Savage on Monday released a major update to Procreate —its professional-level illustration app for the iPad —building in several new options for handling layers, the ability to import PSD files from Adobe Photoshop, and other upgrades. Artists can now select multiple layers, group layers together, and lock both groups and individual layers to prevent changes. As an extension of the new technology, transformations can be applied to multiple layers simultaneously. PSD files can be imported directly, containing all of their original layer structure. Previously Procreate only supported export to Photoshop. Tool changes include brushes up to 1,600 percent in size, more emphasis on yellow and orange in the color wheel, and the ability to Undo or Redo faster by holding down fingers on the canvas. 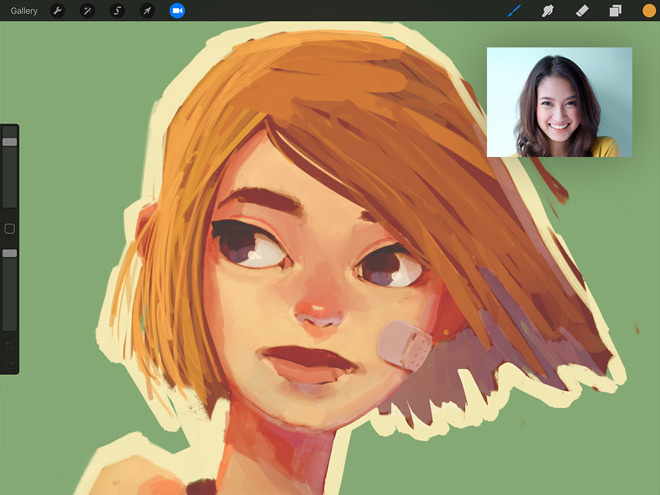 People wanting to share their artistic process can now stream live to their service of choice. Feeds can incorporate audio input and/or camera video. Procreate for the iPad costs $5.99, and requires a device running iOS 10.